I. Purpose: The purpose of a Regional Advisory Council (RAC) is to develop, implement and monitor a regional emergency medical services (EMS) trauma system plan to facilitate trauma system networking within its TSA or group of TSAs. A RAC is an organized group of healthcare entities and other concerned citizens who have an interest in improving and organizing trauma care within a specified Trauma Service Area (TSA). RAC membership may include hospitals, physicians, nurses, EMS providers, rehabilitation facilities, dispatchers, as well as other community groups. II. Omnibus Rural Health Care Rescue Act: The Texas legislature wanted trauma care resources to be available to every Texan. 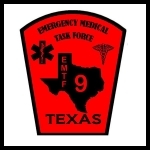 The Omnibus Rural Health Care Rescue Act, passed in 1989, directed the Bureau of Emergency Management of the Texas Department of Health to develop and implement statewide emergency medical services (EMS) and trauma care system, designate trauma facilities, and develop a trauma registry to monitor the system and provide statewide cost and epidemiological statistics. III. Implementation of the trauma system: The trauma system was initially adopted by the Texas Board of Health in accordance with Senate Bill 530, Health & Safety Code, Chapter 773 (Emergency Medical Services), whereby the state was divided into twenty-two regions called Trauma Service Areas (Texas Administrative Code § Rule 157.122), provided for the formation of a Regional Advisory Council (Texas Administrative Code § Rule 157.123). In each area, a regional trauma system plan was developed and implemented, delineating the trauma facility designation process, and provided for the development of a state trauma registry. A Regional Advisory Council, an organization of healthcare entities and individuals such as hospitals, physicians, nurses, EMS providers and other individuals interested in trauma care and injury prevention thus provides a vital link in implementing the regional trauma system plan. C. RAC C Wichita Falls NTRAC TSA-C Inc.
VII. Trauma Funding: During the 75th Legislative Session, Senate Bill 102 (SB-120) was enacted creating the Emergency Medical Services (EMS) and Trauma Care System Fund. During the 76th Legislative Session, the EMS and Trauma Care System Fund was changed, with the enactment of HB- 2085. During the 1999 Legislative Session, the Department of Health was empowered to distribute funding directly to regional advisory council if the councils was an IRS 501 (c)(3) organization. Additional funding sources, such as extraordinary emergency allotment (EEF), uncompensated care allotment and tobacco endowment has significantly enabled regional advisory councils and providers to impact trauma care. VIII. RAC Structure: As approval for RAC development occurred, among the essential events to happen was the select of leadership. The following components were and remain essential in selecting RAC leadership. Group support and agreement among the members is enhanced if the “key” people were representative of the membership across a broad spectrum. Limiting the number of leadership positions of those in the same profession or that live in the same county was and is a critical. It was and is suggested that at least one position be from the pre-hospital discipline. Without saying, the history and development of a Regional Advisory Council has moved rapidly over the course of several years. They have not been static since their inception, neither should they. No one RAC is the same; each has components that are unique. The remaining sections of this manual will highlight the essential elements and criteria of a RAC and with the intent being to provide basic guidance for success. IX. What is a RAC? The Regional Advisory Councils are responsible for developing, implementing, and monitoring a regional emergency medical service trauma system plan. They are an organized group of healthcare entities and other concerned citizens who have an interest in improving and organizing trauma care within a specific TSA. As such, not every Regional Advisory Council will be structured the same but each must have the same objectives – to reduce the incidence of trauma through education, data collection and analysis and performance improvement. This is accomplished by providing educational initiatives, looping data back into those initiatives as well as conducting performance improvement that provides each and every provider guidance and motive to reduce the incidence of trauma as well as improve the outcome of trauma patients.